On Monday March 28th, the stairway between the second level of the Brunswick Square pedway and the Saint John City Market will be closed temporarily while overhead work is performed in the area. The stairway will remain closed until Wednesday, March 30th and will tentatively reopen on Thursday, March 31st. Access to the Market will be maintained via the Germain Street entrances and Market crews will work to ensure that outside areas around the Market are clear. Directional signage has been installed and community stakeholders and market vendors have been notified of the closure. The full closure of the entire pedway entrance, including the stairs is expected to take place from May until the anticipated project completion at the end of June. 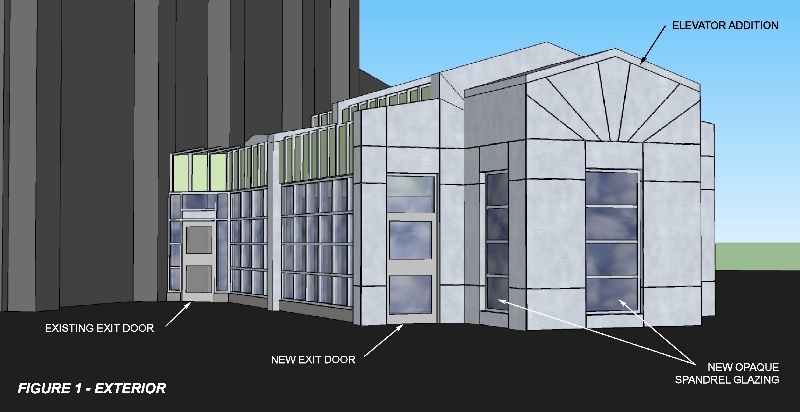 Alternate entrances to the Saint John City Market will be identified and marked at that time. The public will be notified in advance. The Saint John City Market will remain open, as per its regular business hours, for the duration of the construction period. For more information, visit www.sjcitymarket.ca. We thank citizens and visitors for their patience during this time, and look forward to unveiling the newly renovated, accessible space this summer. Please click here for designs.